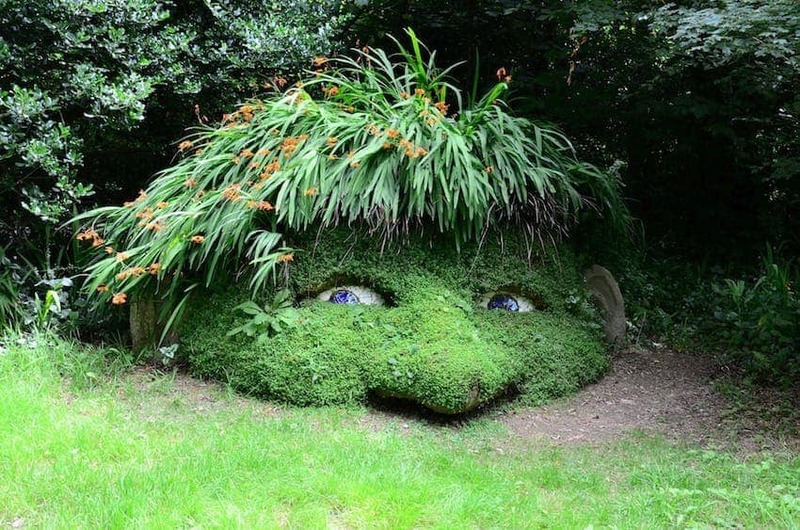 The Lost Gardens of Heligan in Cornwall is the setting for several woodland sculptures including the Giant's Head, Mud Maid and Grey Lady. They emerge to visitors on the sheltered path in this natural landscape setting. Created by local artists Sue and Pete Hill, they have been designed to enhance the woodland experience, following the fashion for Victorian ornamentation.